When setting up a Git repo, controlling access is key. 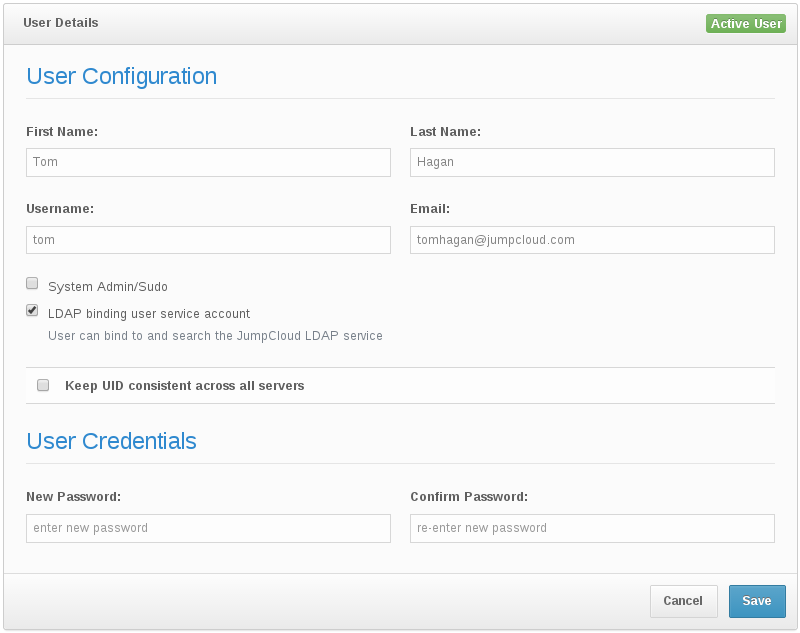 With JumpCloud’s LDAP solution, it’s easy to manage your users’ access to your repositories. Let’s walk through how this can be done. We’re assuming here that you have a clean Linux server machine. I’m using Ubuntu 14.04. Other systems might have slight variations with the commands, especially in the installation steps. Installing the Git server software is simple. Git controls access to repositories through the fundamental user access to files and directories on the machine. By managing these users via LDAP, you manage who can access which repositories. Let’s configure LDAP in JumpCloud to get this going. Find your organization’s information in the settings in the JumpCloud console. Make sure LDAP is toggled to ‘on’. We’ll be using the value found here for the Organization ID. In this case we’re going to use an individual user account as the LDAP admin. Make sure the “LDAP binding user service account” is checked in that user’s details. We’ll need this user’s email address and password below. Note that to have the users in JumpCloud available to your machine, you need to assign values for the uids. Under “Settings”, make sure you have checked “Keep UID consistent across all servers”, and for each individual user, also check this value and assign them a UID. On your Linux box, install the libraries. For Debian-like systems1 use the following. Now that sssd is installed, we will edit the file its configuration to direct it to use JumpCloud’s LDAP. Note that you’ll substitute your values found in the JumpCloud console above for <org-id>, <user-email>, and <password> to associate with your account. The file we create is /etc/sssd/sssd.conf. 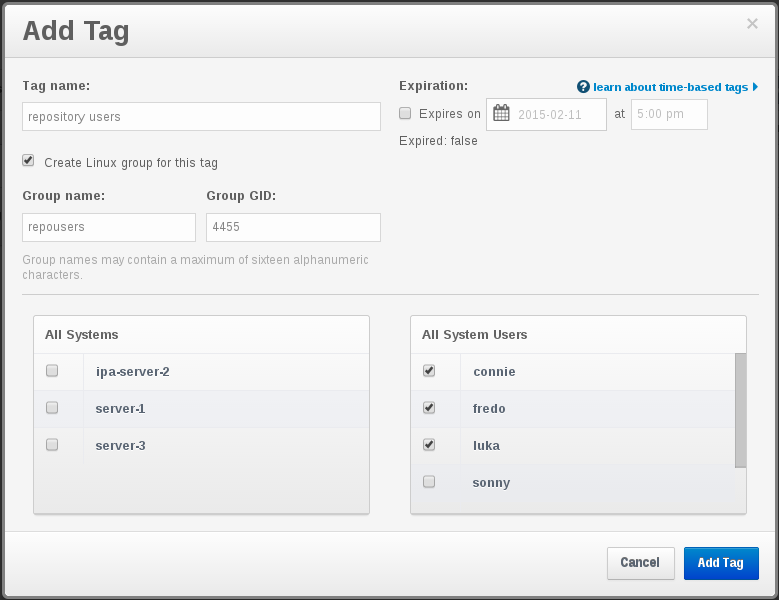 Now your users have the ability to create and manage repositories on the server. One key point here is that we want to share access among people within the same group. First, in JumpCloud create the appropriate group with the right users. User connie needs to tweak ownership of the repo in order to share access with the group. That gives anyone in that same group access. Let’s make sure ONLY that group has access. with no problem, but users outside of the repousers group cannot.